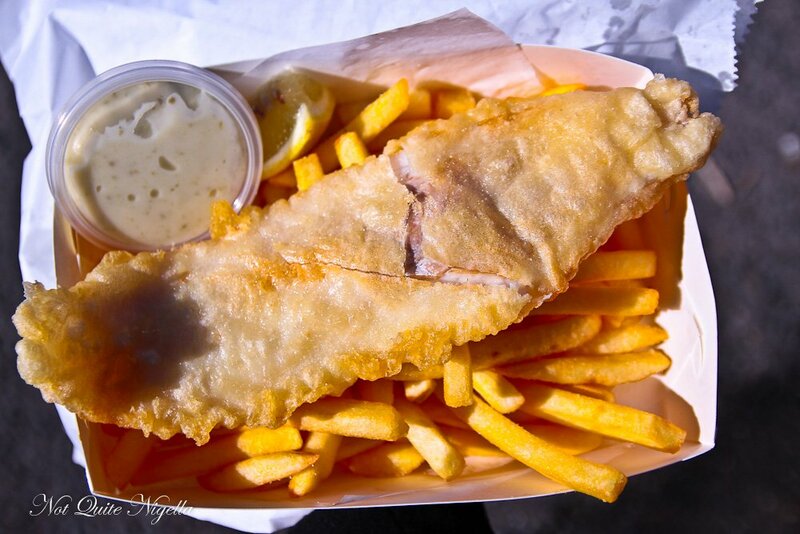 Looking for the best fish and chips in Sydney? 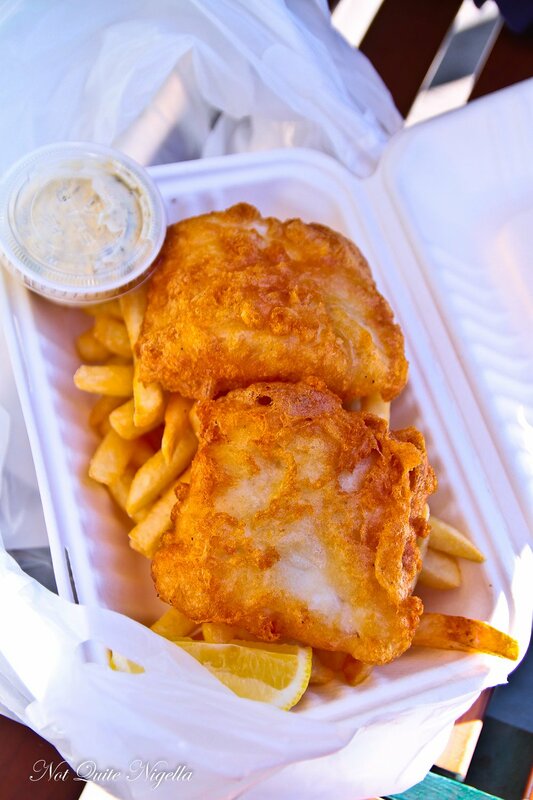 Summertime is synonymous with fish and chips and there's nothing better on a sunny day than eating fish and chips by the water (and let's be honest, fighting off enormous seagulls). 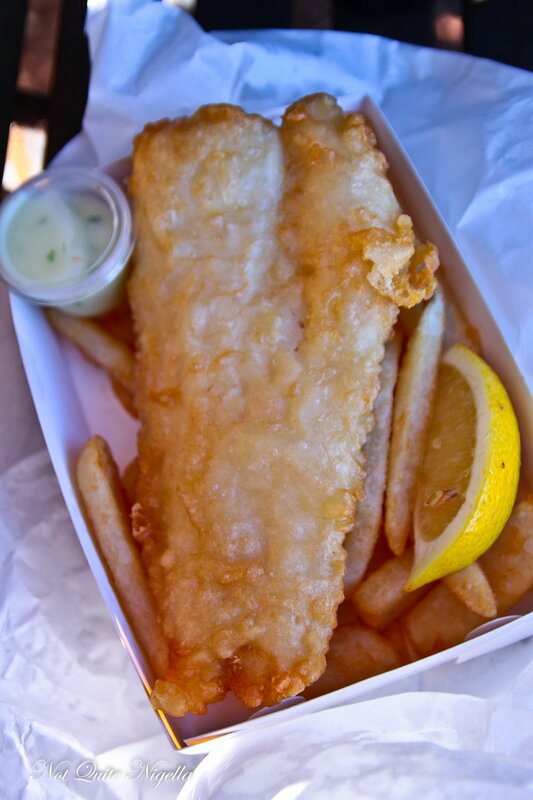 But despite what one might assume, not all fish and chips are created equal. 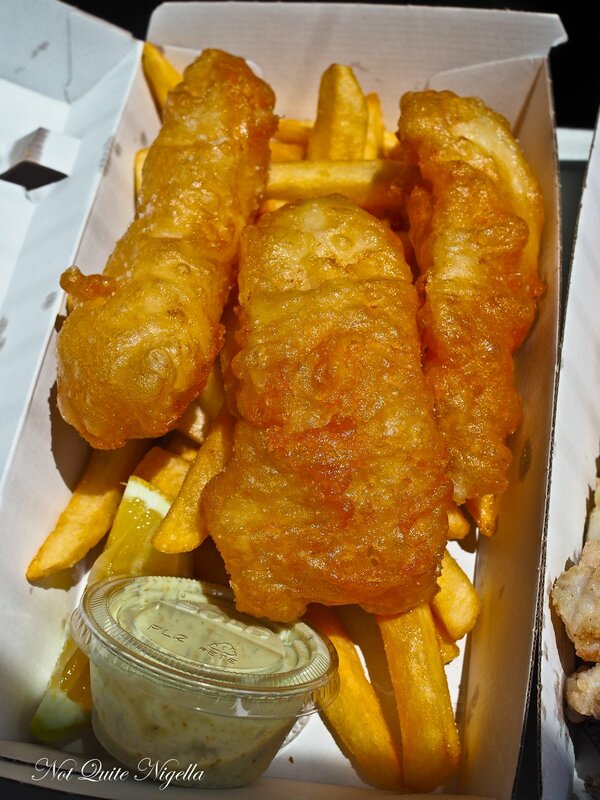 For something so relatively simple in concept there are huge variations in fish and chips from the oil it is cooked in, the batter and the fish used not to mention the chips and the tartare sauce. 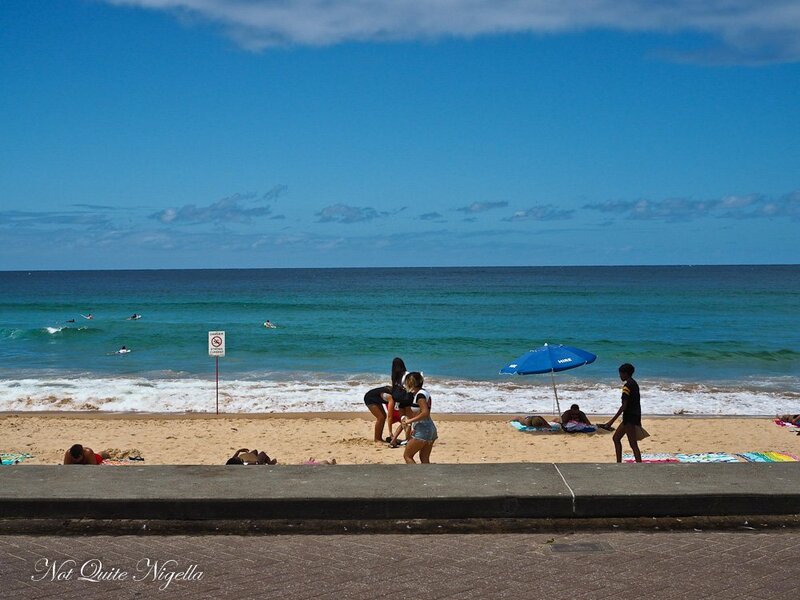 Sure it's a bit of a drive but if you've got a beautiful summer's day there really is no better idea than taking the drive up to Palm Beach and pretending that you live amongst the rich and famous (or on a Home & Away set). 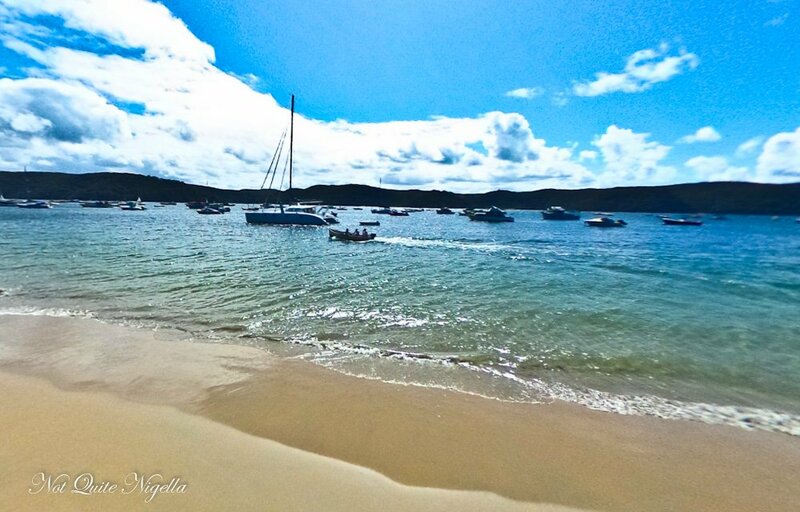 Along the water on Barrenjoey road is Palm Beach Fish and Chips. 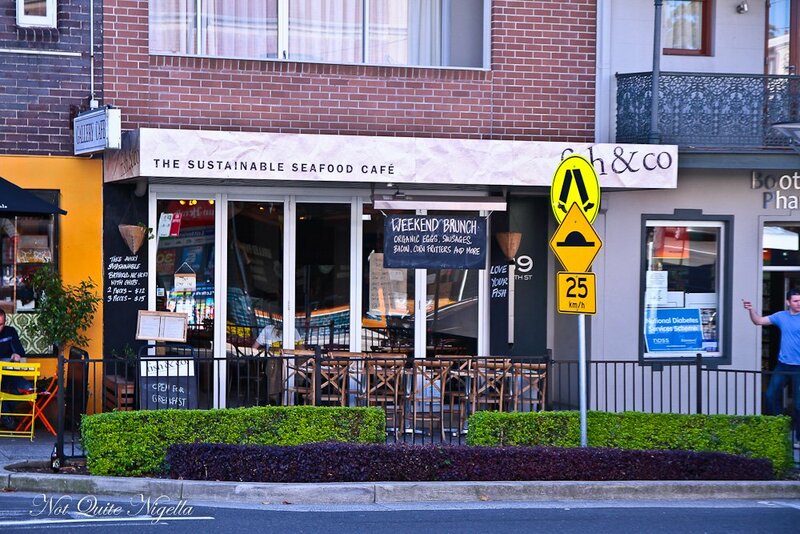 There are plenty of tables with views of the water and there are different types of fish on offer for your fish and chips from hake (deep sea cod), barramundi to flathead. Everything is cooked in cottonseed oil and the batter is crispy and less thick and puffy making the hake inside juicy and moist. Extra points for the truly awesome chips and the ice block freezer full of old skool ice creams. 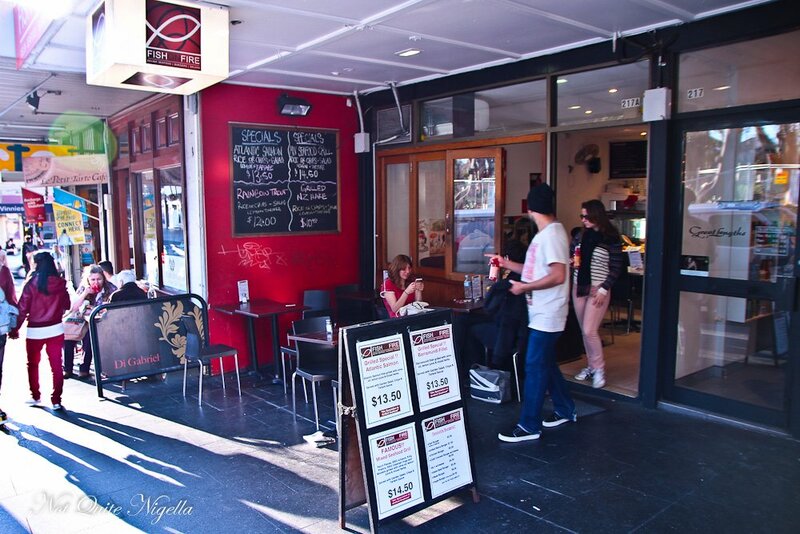 As soon as you walk past Fish & Co on Annandale's Booth Street, there are the buzzwords that excite everyone today. Sustainable, line caught, organic (the eggs, not the fish). Fish pies and enormously fat fish cakes are brought to tables but you can also get fish & chips to takeaway. All fish sold here is line caught and a map in the restaurant shows where all of the fish is caught from and there is also raw or "wet" fish for sale too. 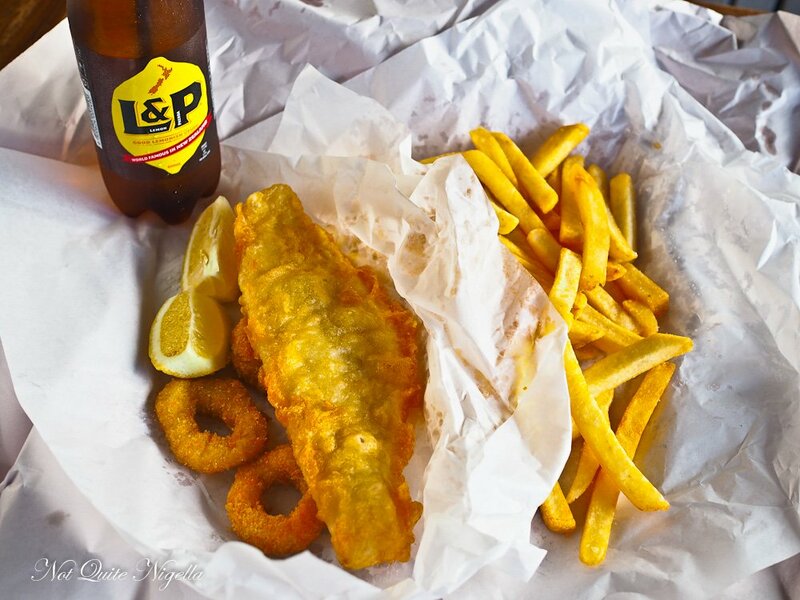 The fish used in the fish in chips is hoki from New Zealand with a crunchy beer batter coating and is fried in canola oil. At a cost of $15 it comes with a tub of marvellous tartare sauce (or you can also get garlic aioli or chilli jam). They're square fillets with a deep golden batter crunch to them and are beautifully moist inside with an shattering crunch on the outside. The chips are also good with a decent amount of seasoning to them. 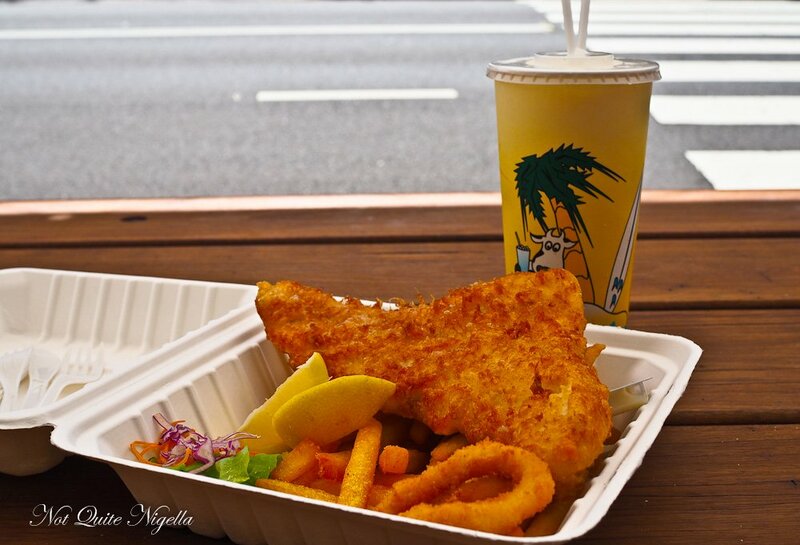 New Zealanders love their fish and chips and at Mascot there's no messing about with Kiwi Style's fish and chips on Botany Road in Mascot. There's no chicken salt here, just beer battered fish with salt and super crispy chips. It's simple and well done. 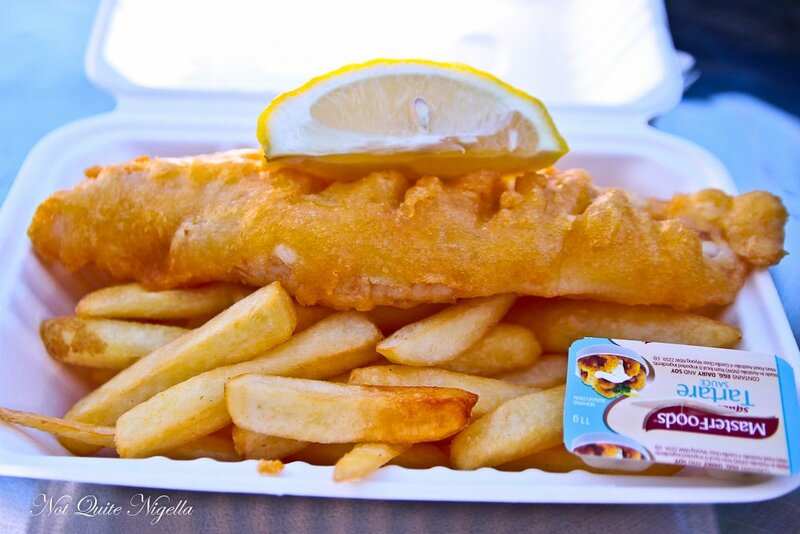 They use canola oil and fish used in the fish and chips are gem fillets (otherwise known as hake) served with a friendly NZ attitude. Oh and there's Rashuns chips and bottles of L&P in stock too. There's a friendly atmosphere at Mohr Fish as it looks like an old fashioned fish and chips shop. Service at Surry Hills' Mohr Fish is delightfully sweet. When asked whether it comes with tartare sauce, the young man behind the counter proudly tells us that it is home made and it is wonderful. Then offers to give us an extra serve for free. This is a good, solid fish and chips offering-the batter on the flathead is golden crunchy as are the chips plus you can't beat that price. A favourite for locals, apparently they serve a mean burger. 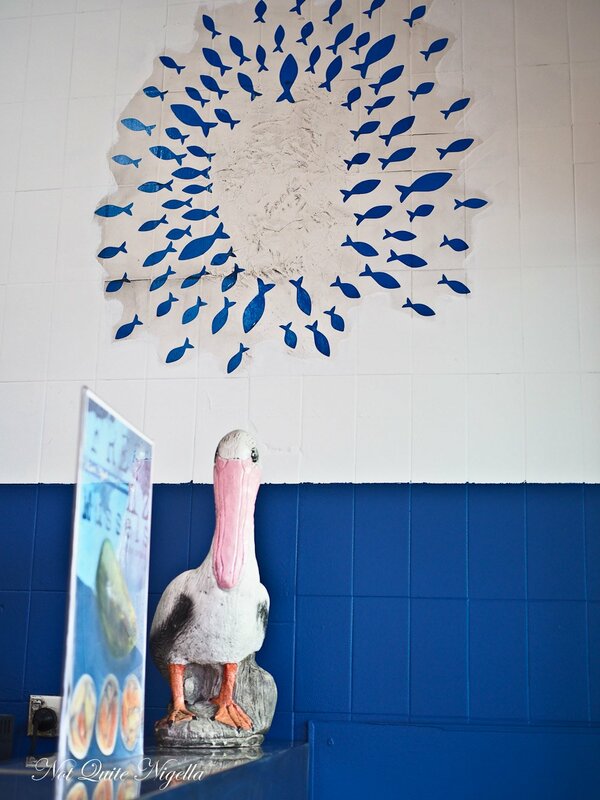 For us, we're trying the fish and chips in this small, unassuming little shop on Glebe Point Rd. The fish doesn't come with tartare sauce although you can buy it for $2 for a medium sized tube of home made tartare which isn't too bad. 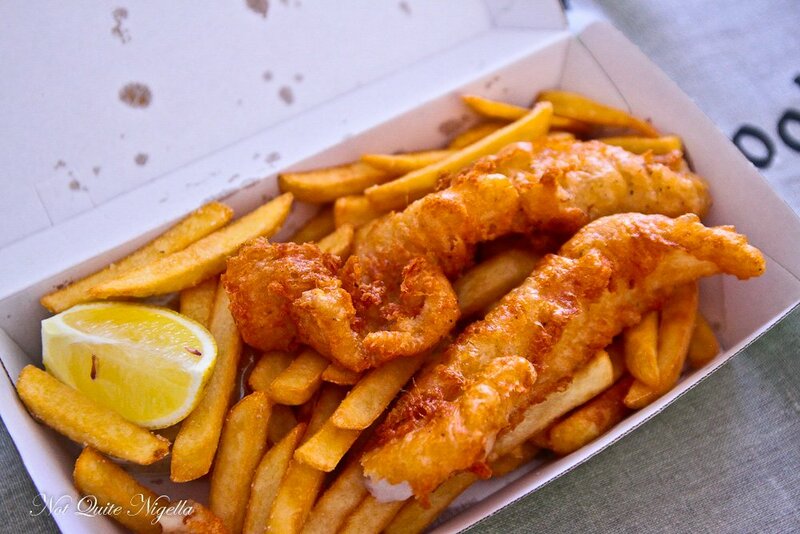 The fish is hake and they use canola oil for frying. Whilst the fish isn't bad (again a bit more seasoning would be great), the chips are really what reels us in. They're long and flat and with that rough edge texture that gives you more crunch for your bite while being soft and fluffy in the centre. If fish wanted to eat with hipsters they'd end up here. Merivale's offering is in Challis Avenue Potts Point and is a thoroughly themed ode to the sea with fishing hooks or ships in a bottle. The fish is flathead and the oil is cottonseed. The batter is golden and airy or puffy even. The tartare is fantastic though with a nice chunky texture of the pickles. 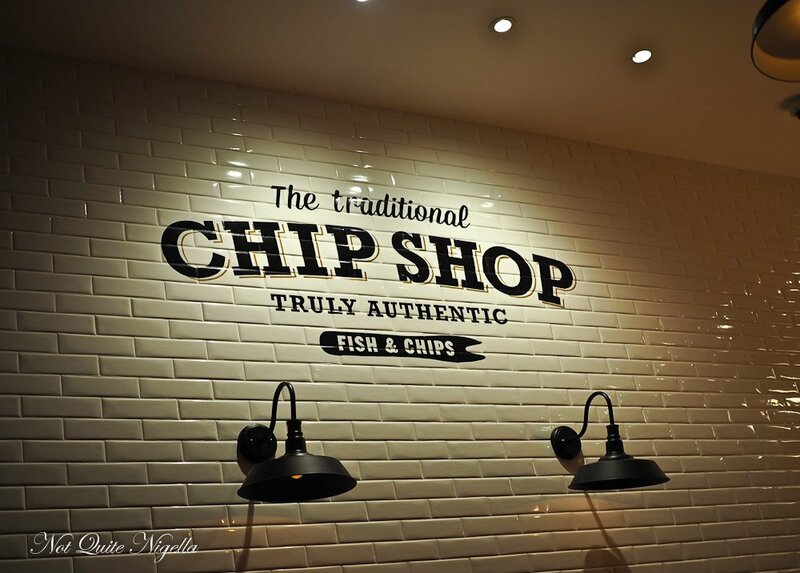 You could be back in the UK here if you take a peek at the menu at the Traditional Chip Shop. This small chain of takeaway fish and chips (with some tables for eat in customers) offers pre ordering where you can skip the queue and pick up your order. This was a suggestion from Viggo and Louise after overhearing English and Irish colleagues raving about the food. 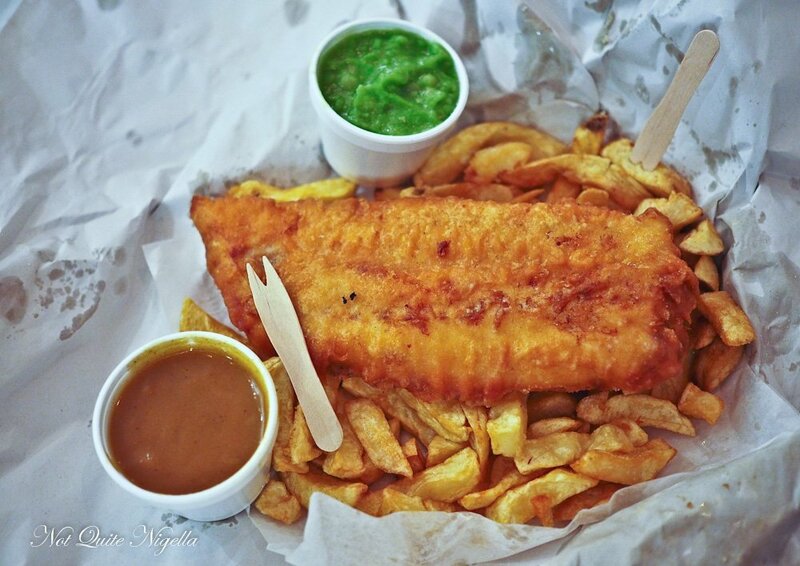 Fish and chips in the UK is a bit different from Australian fish and chips. They cook it in Frymax, a vegetable fat and the chips are fatter, stubbier and softer with an option to add chip shop vinegar (which makes them ideal for shoving in a chip butty). 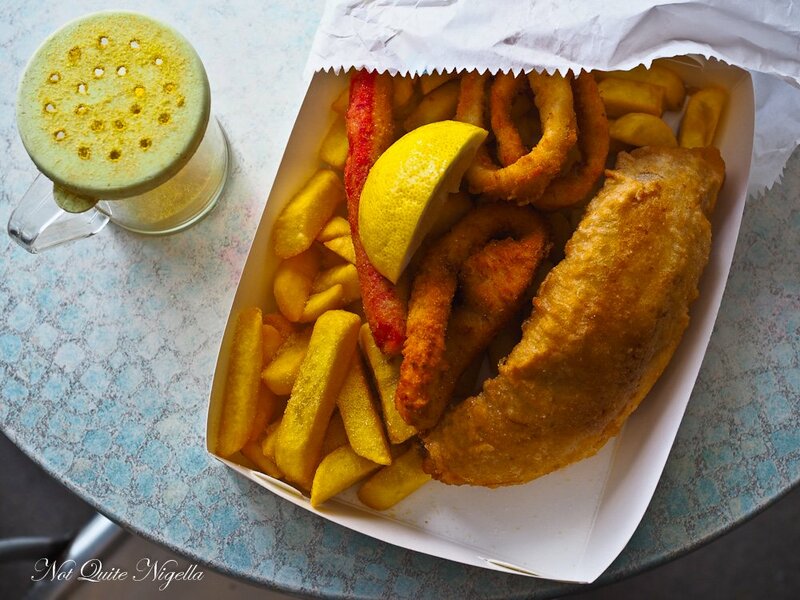 The fish is moist but the batter less crisp that the Australian offerings and extras like curry sauce and mushy peas conjure up memories of visits to the UK. There's also a range of UK soft drinks, battered haggis, curry gravy chips, pies, jammy wotsits and burgers and chicken on the menu too. This was close to the classic fish and chips of youth. Here they dry fillet instead of wet filleting the fish which means that the fish isn't laden down with extra water which can dilute the taste of the fish. Also when they thaw the frozen NZ Hoki they don't thaw it in tap water which can dilute the flavour of the fish. The hoki is cooked in vegetable oil and comes some nice chips and a non beer batter coating (to cater for muslim customers). 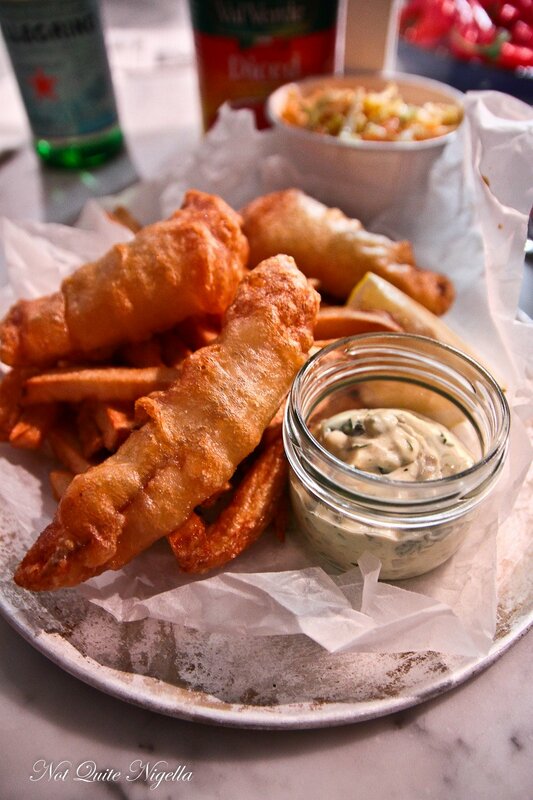 Piping hot, well seasoned and with a generous serve of chips, it is another favourite of ours. It was perhaps just the long, thin fillet that we didn't love as much-the fatter fillets seem to have a better ratio of batter to fish. 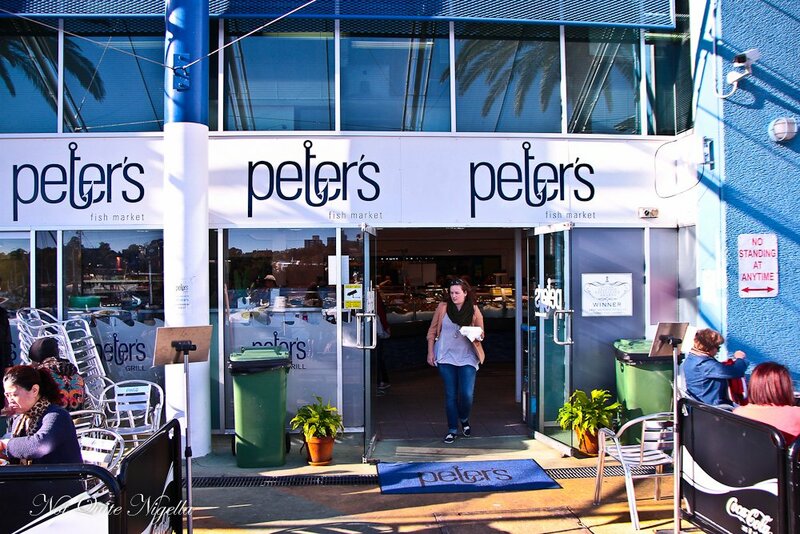 A weekend visit to the Sydney Fish Markets is nothing short of chaos as visitors from all over the globe settle in and order platters to share from the various seafood outlets. Some of these have the fish for the fish and chips already cooked so we bypass these and line up at Peter's where an enormous queue already forms. Part of the attraction is the seating area for patrons outside just near the wharf. The fish is hake and they use cottonseed oil for frying. The fish comes out as one large fillet, not bad although there wasn't much seasoning. The tartare is a Masterfoods squeeze job so it's not in the same league as others and the chips are moreish. So tell me Dear Reader, how do you like your fish and chips? Do you have a favourite place for it? What sort of chips do you like and yay or nay to chicken salt if offered? restaurantGetting Messy With It! Rib-O-Rama Or The Best Ribs in Sydney Challenge! 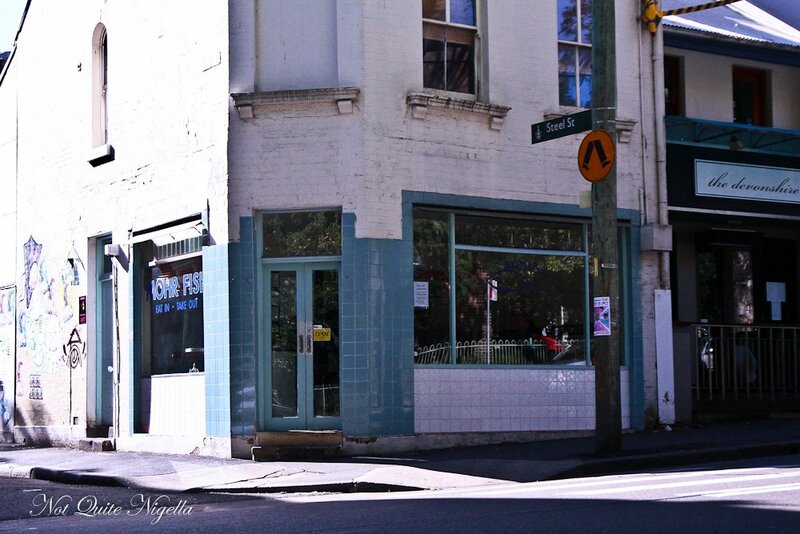 restaurantOn A Roll - Finding Sydney's Best Sausage Roll! restaurantThe Amazing Banh Mi Race!